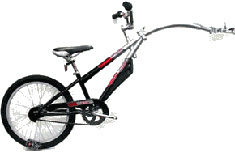 Tandem bikes are the perfect option for couples or mates looking for a unique riding experience. Youth Mountain Bike. 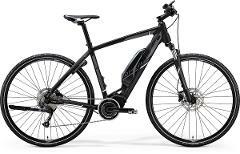 Suitable for either the rail trail or single track. Kids Tag-a-long Bikes are perfect for longer rides with your little person. 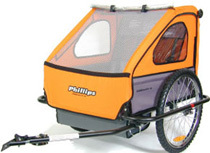 Kids Bike Trailers are perfect for riding with your baby or toddler. Please note passengers must wear a bike helmet. 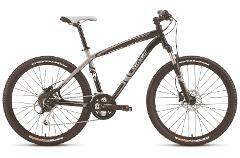 Kids Mountain Bike perfectly suited to your little ripper.